Sri Lanka’s future automobile sector is seen shifting towards a green-focused market with the entry of automotive companies headed by young entrepreneurs with a passion for environmental conservation. One such company, e Lanka Automotive, a newly launched automobile company located on Cotta Road Colombo 6, is keen on popularising vehicles that run on clean renewable sources of energy, officials of the company said. 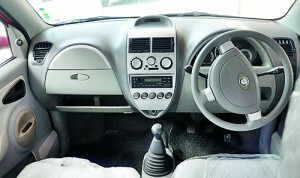 The new company is taking steps toward importing more electric vehicles into the country, as the city of Colombo and suburban areas have been polluted by thousands of smoke-emitting vehicles, Malinga S. Senevirathne Epa, Manager Technical and R&D at the company told the Business Times. He said that Sri Lanka’s motor vehicle market is taking a turn toward electric vehicles because they’re “zero pollution. He expressed the belief that imported electric vehicles will be an important trend this year and a significant development for the local car market. Anticipating this green trend in the island, e Lanka Automotive is now importing “Spark” Evian electric cars specially made for Sri Lanka in China, he disclosed. Mr. Senevirathne Epa noted that these Chinese cars are superior in quality as they have personally inspected the production of these cars according to their specifications. These cars are not cheap because of its high quality. The price of cars is in the region of Rs. 1.8 million to Rs. 4.2 million, he revealed. With the aim of popularizing electric cars in the island the, company will launch an EV Taxi service with a fleet of 20 “Spark” Evian electric cars. 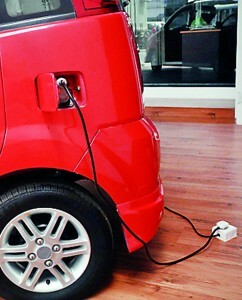 The company opened its eco-friendly showroom and office on Friday and began sales of these cars. The Spark Evian car operates with lead acid or lithium batteries and it should be charged at least 8 hours to get full charge. The vehicle can run up to 400 km per charge and the cost for electricity per single charge would be around Rs.350, he said. The company will introduce electric SUVs and buses within the next few months. Is import substitution all that bad?